Notifications of abstract results have now been relased. 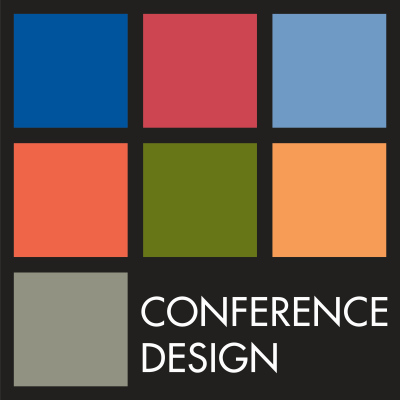 If you have not received your notification email please check your junk mail folder or email mail@conferencedesign.com.au. On behalf of the Program Committee, we invite you to submit an abstract for presentation at the 13th National Conference of Allied Health 2019. The National Allied Health Conference provides an excellent opportunity for allied health professionals from across Australia to showcase their work, engage in networking, critical thought and discussion to encourage innovation in clinical practice, research and service delivery. The audience at the conference will consist of a broad variety of allied health stakeholders from different parts of the health sector in clinical practice, research, education, policy and workforce development. Authors are invited to submit an abstract summarising interesting and topical research, quality or other initiatives within any of the conference themes listed below. Submissions are sought for Oral Presentations, Lightning Oral Presentations (with ePosters) and ePoster presentations. All abstract submissions not accepted for oral presentation will be considered for an ePoster display. Submissions must include a 300-word abstract. The abstracts will be assessed by the conference program committee for quality and applicability to the below themes. Submissions are due by midnight Monday 11th February 2019. All abstracts are to be submitted electronically as plain text via the Presentation Portal. You do not need to prepare a word document abstract for upload. The receipt of submissions will be confirmed by an acknowledgment email. All applicants, successful or otherwise, will be notified by 1st April 2019, within an appropriate time frame to allow registration during the Early Bird Registration phase. The NAHC 2019 Program Committee encourages submissions from Aboriginal and Torres Strait Islander allied health professionals and students, researchers and educators, Aboriginal and Torres Strait Islander health and community workers. It is anticipated featured oral presentations will be allocated 15-20 minutes for presentation, including question time. Accepted presentations will be informed of the length of the presentation slot they have been offered at notification. Lightning Talk presentations will be given a 3-minute presentation showing a maximum of 3 PowerPoint slides. Electronic posters (ePosters) will be prepared in PowerPoint (1 slide 16:9) and displayed during the conference on large flat screen monitors in the exhibition area. The ePosters will rotate automatically and each poster will be shown for around one minute. Delegates will be able to pause individual posters to view them in more detail. There will also be an index to allow delegates to find an individual poster. The abstract and a PDF of each accepted ePoster will be included in the Delegate App for delegates to view on their smart devices. An abstract is a short document that is intended to capture the interest of a potential attendee of your session. The first rule of abstract writing is that it should engage the reader by telling him or her what your presentation is about. Although not part of your abstract body, the title of the proposed presentation is also important. Short attention-catching titles are the most effective, however, it is also important to ensure that the title describes the subject you are writing about. Does the abstract capture the interest of a potential attendee of the presentation? Does the abstract engage the reader by telling him or her what the presentation is about and why they should attend it? Does the abstract title describe the subject being presented? Does the abstract make a clear statement of the topic of the presentation and the research question? Does the abstract describe the work to be discussed in the presentation? Does the abstract conform to the word limit of 300 words? a discussion of the outcomes and implications. Finally your abstract should not include diagrams or images and in general references are not required in the abstract. As there are limited places for oral presentations some abstracts submitted for oral presentation may be offered posters. Authors in these cases will be advised and asked to confirm whether they wish to present a poster..